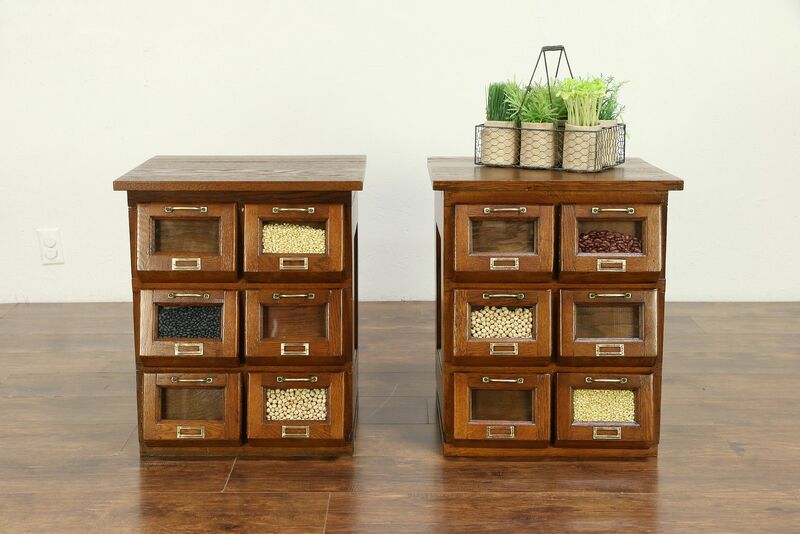 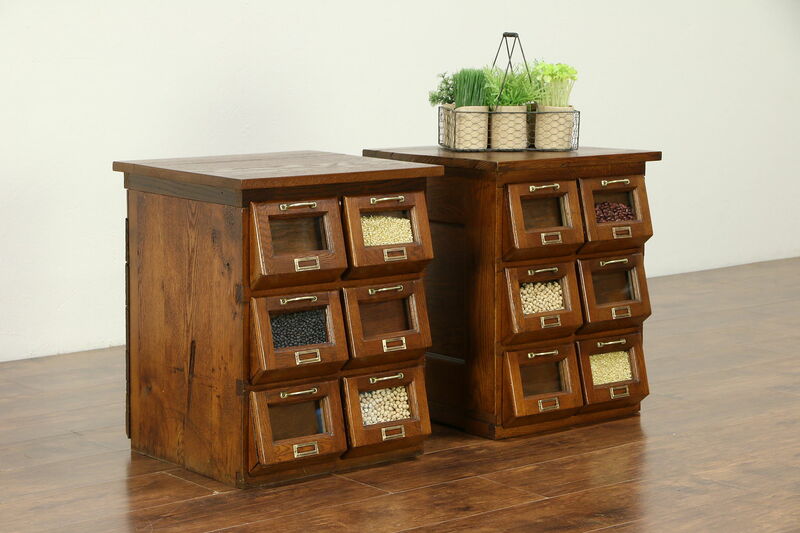 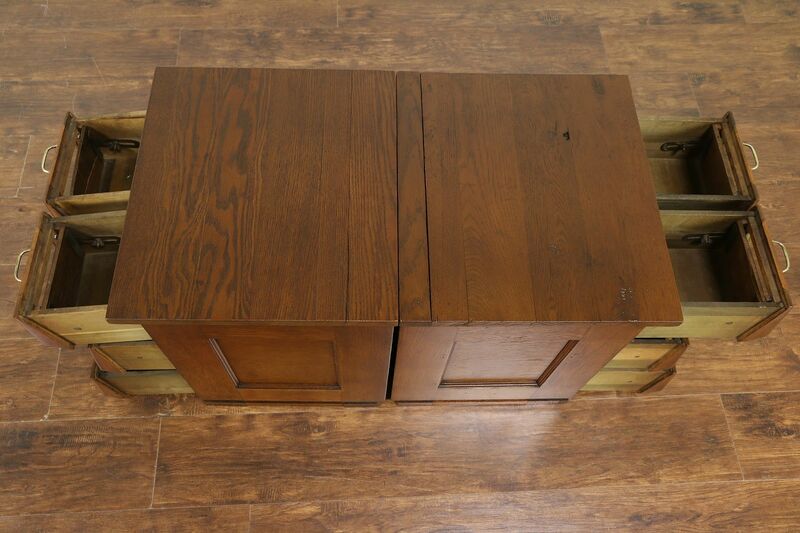 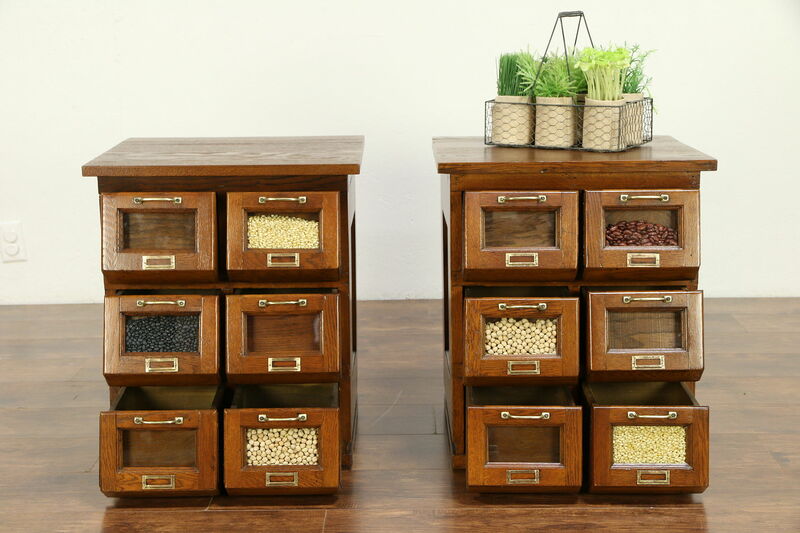 A pair of end tables were salvaged from a large country store "seed counter," where bulk seeds were displayed in the front under glass, and scooped out to be sold by the pound. 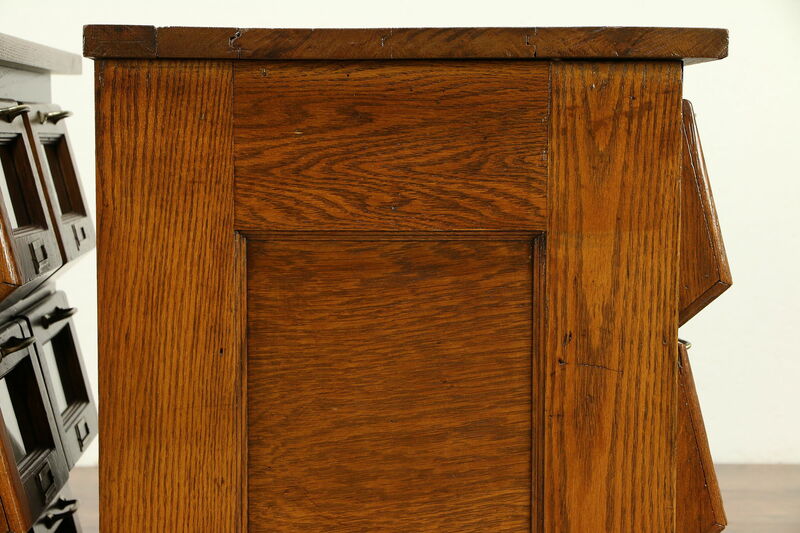 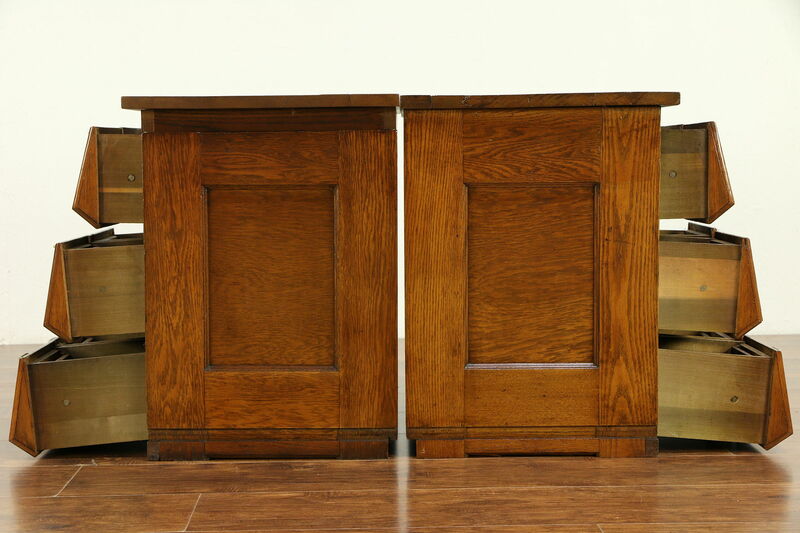 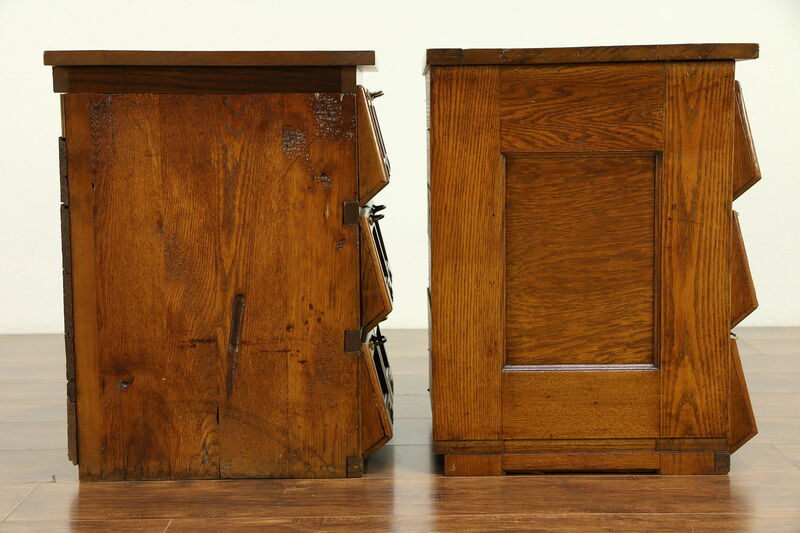 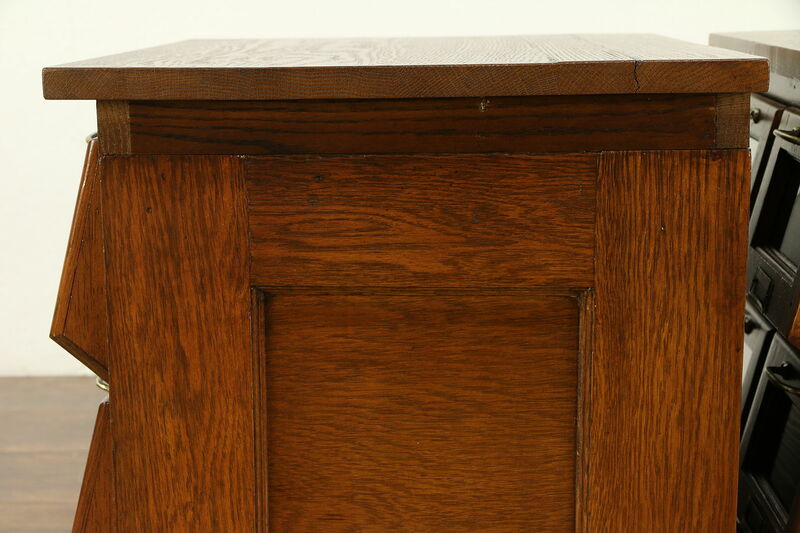 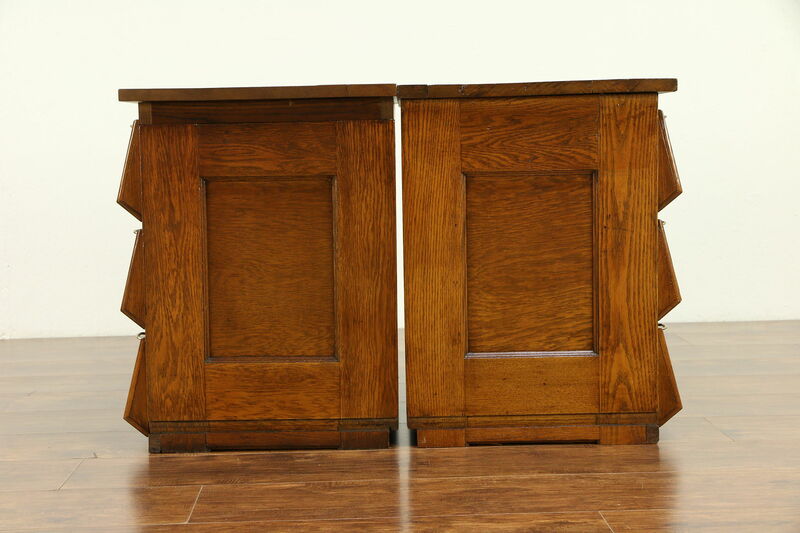 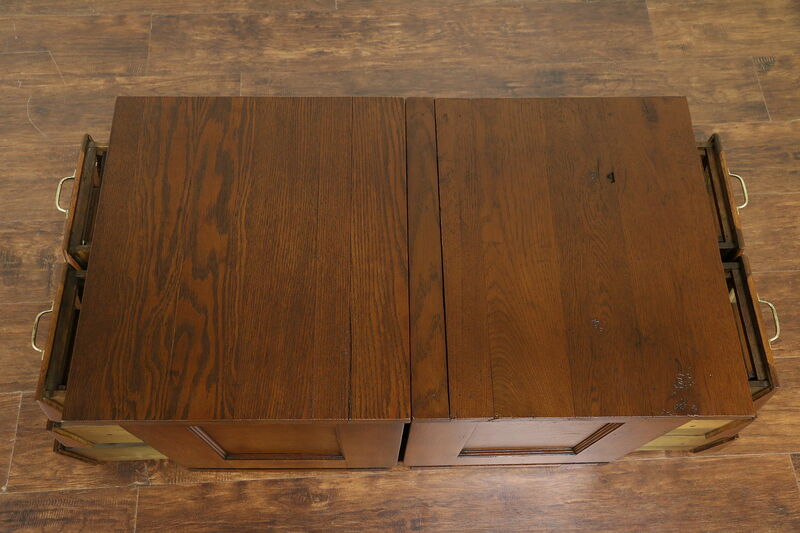 Crafted of solid oak about 1910, one side of each cabinet is paneled, the other is flat. 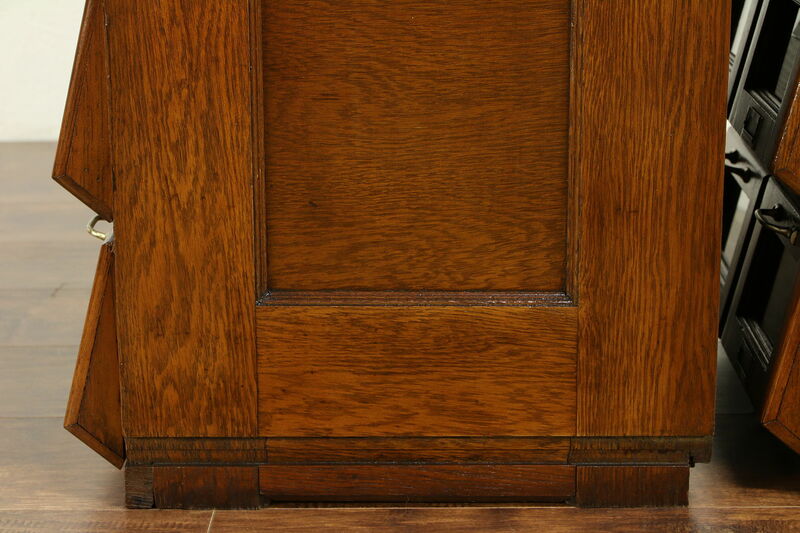 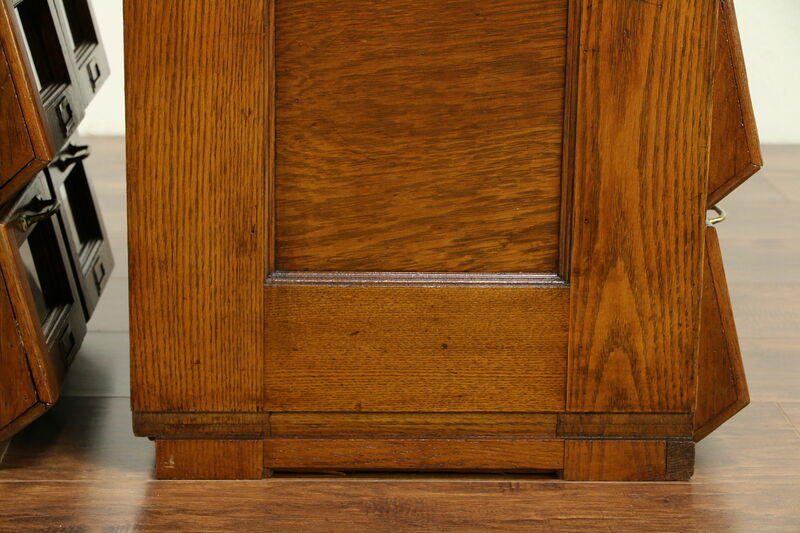 The restored finish is in excellent condition, preserving losses, stains and mars for loads of antique character. 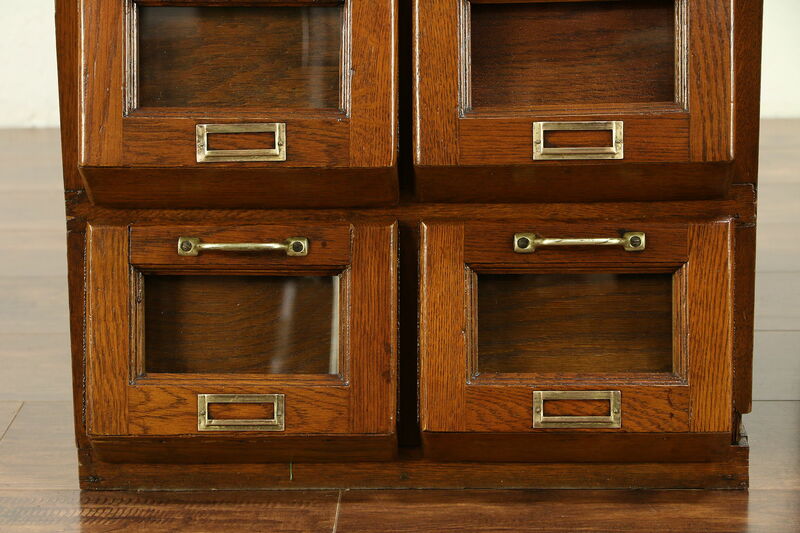 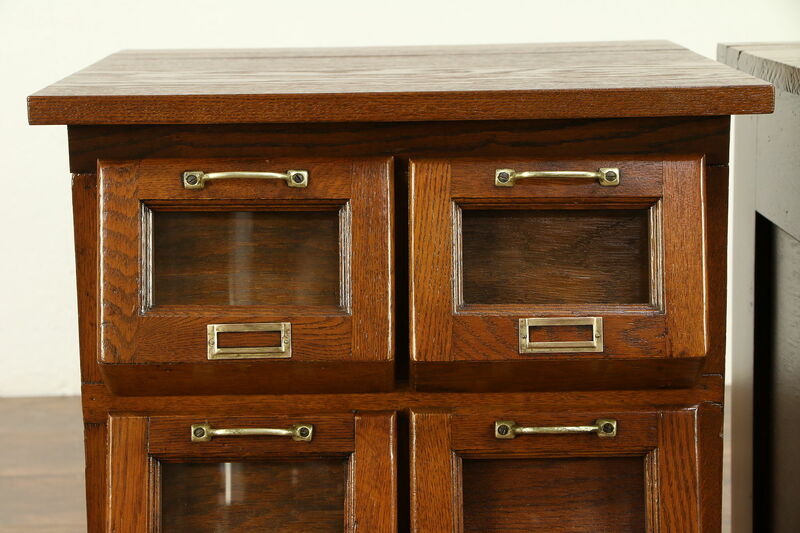 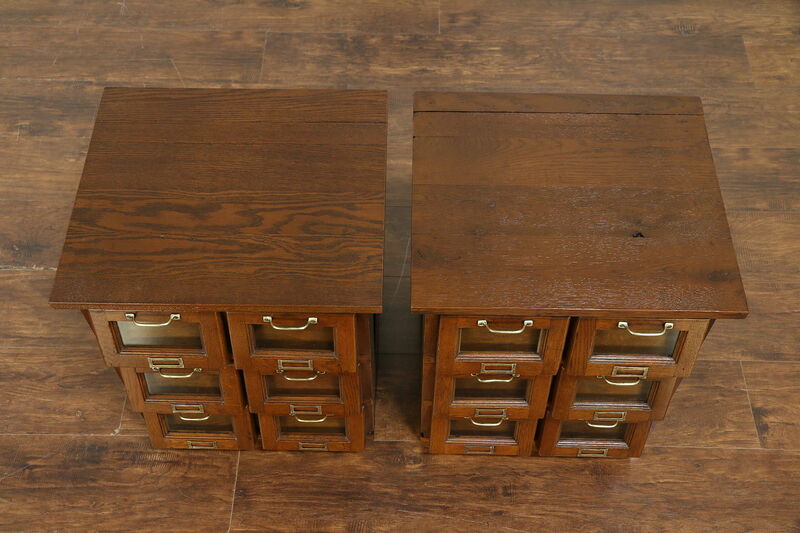 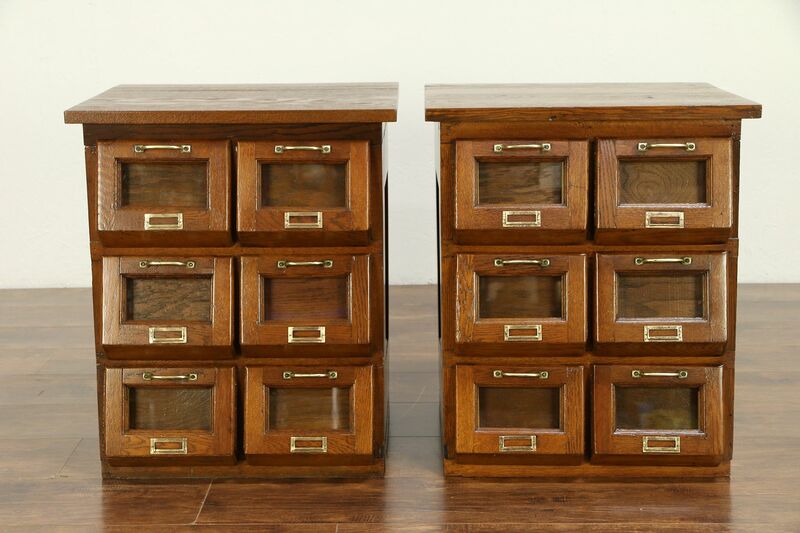 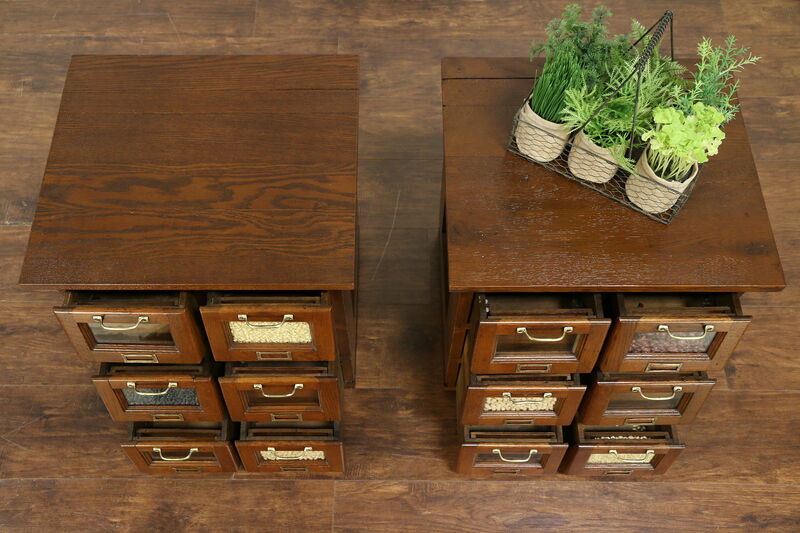 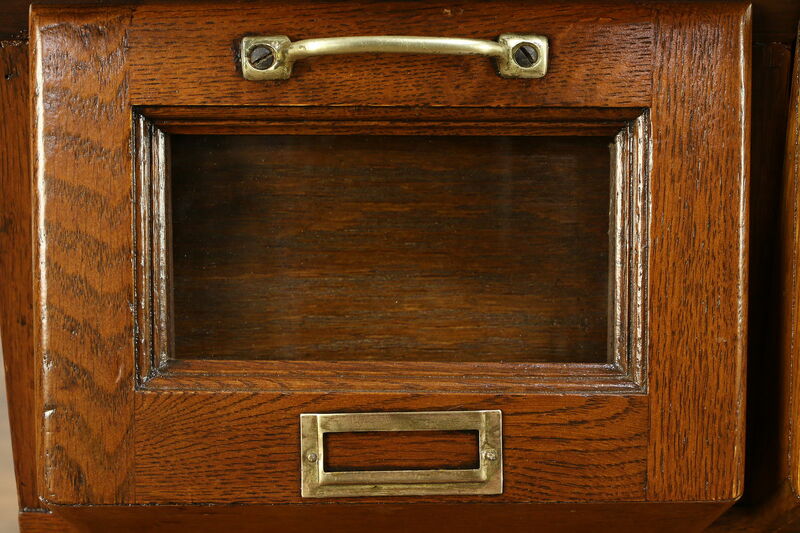 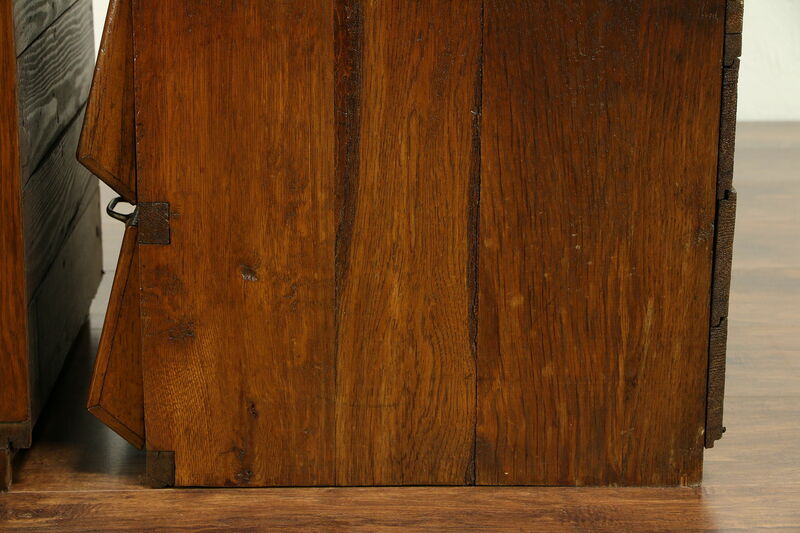 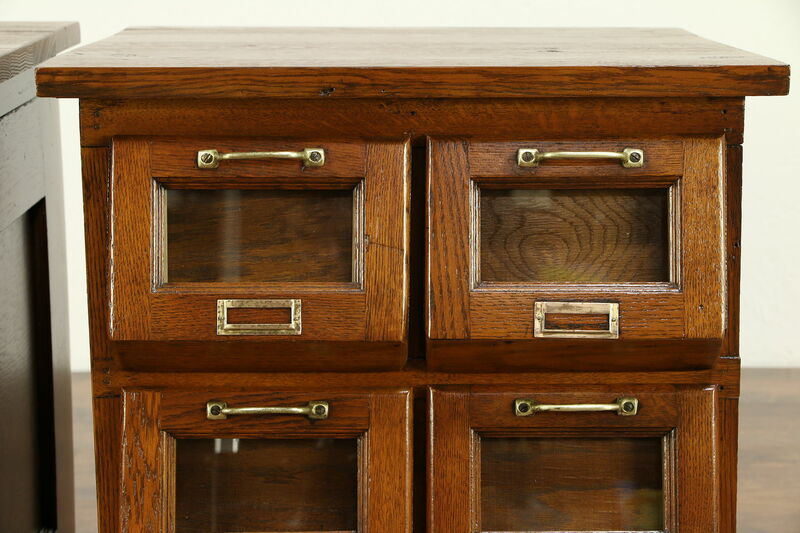 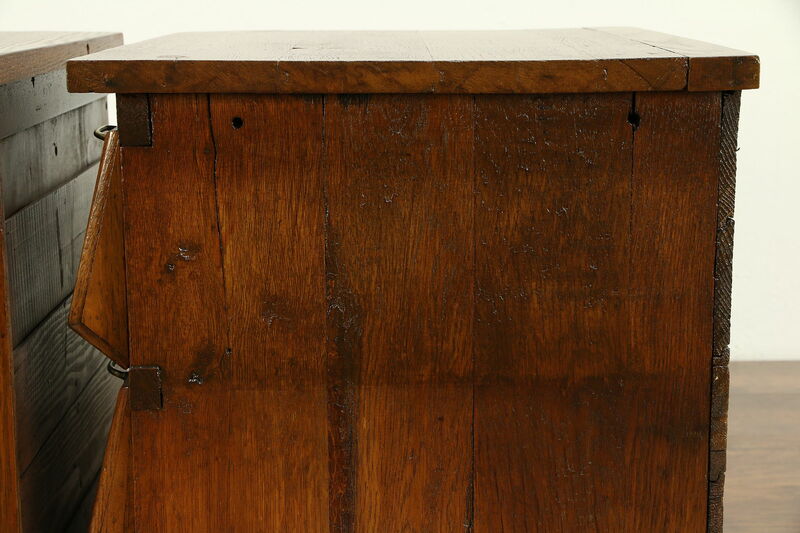 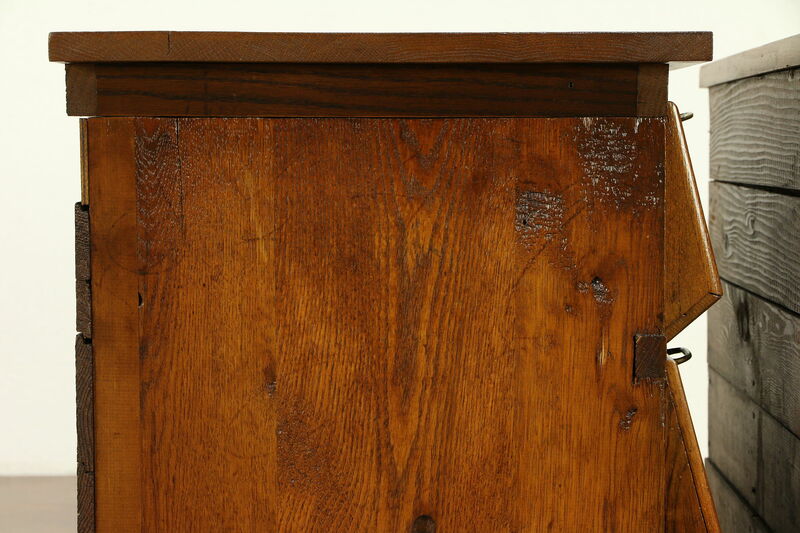 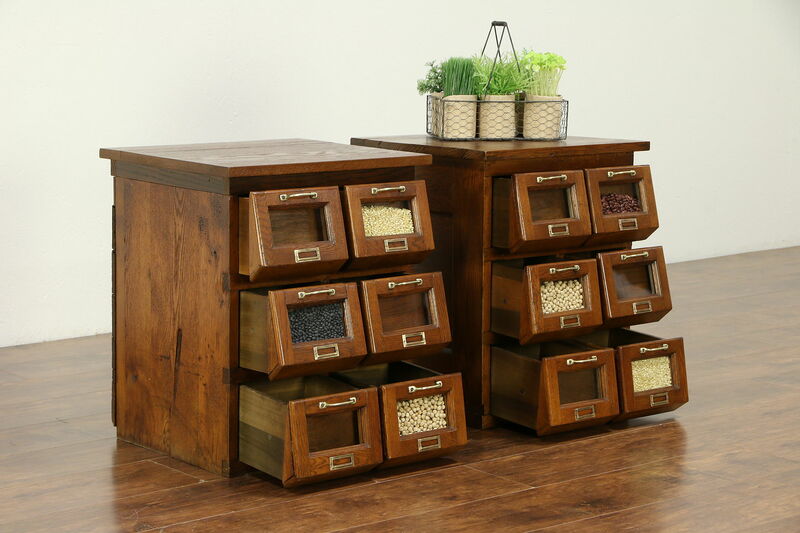 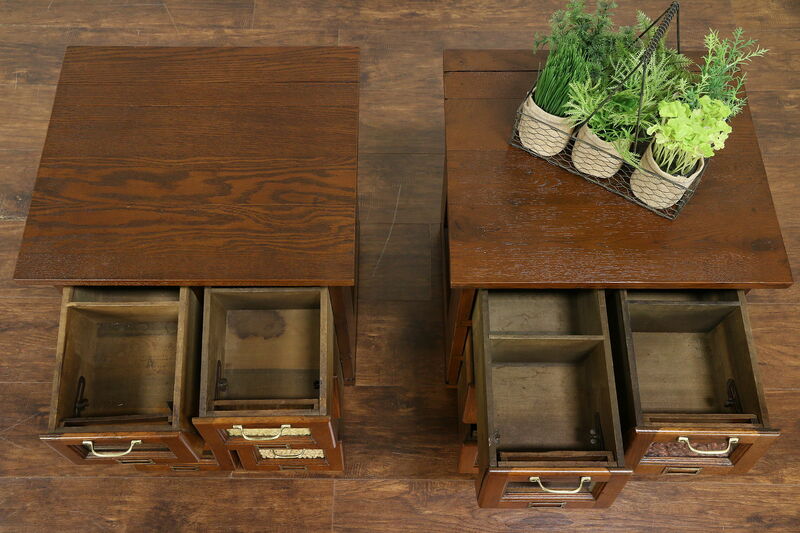 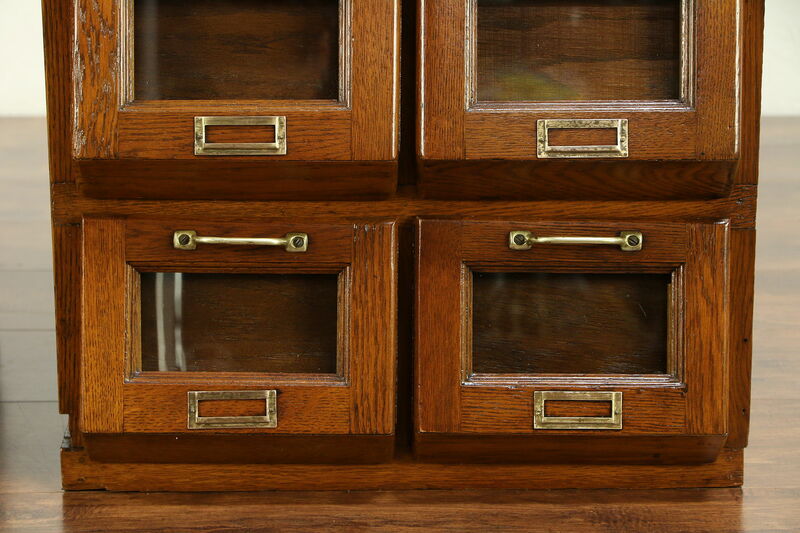 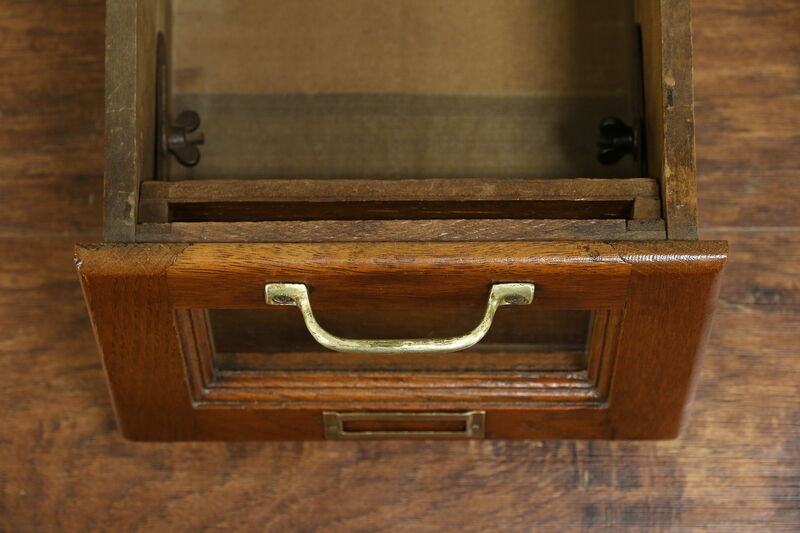 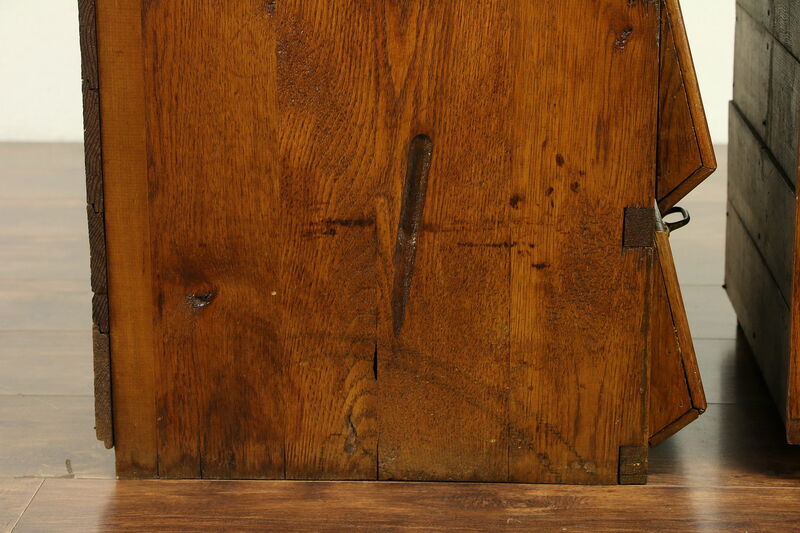 Drawers have original brass pulls and label holders on this American made primitive furniture. 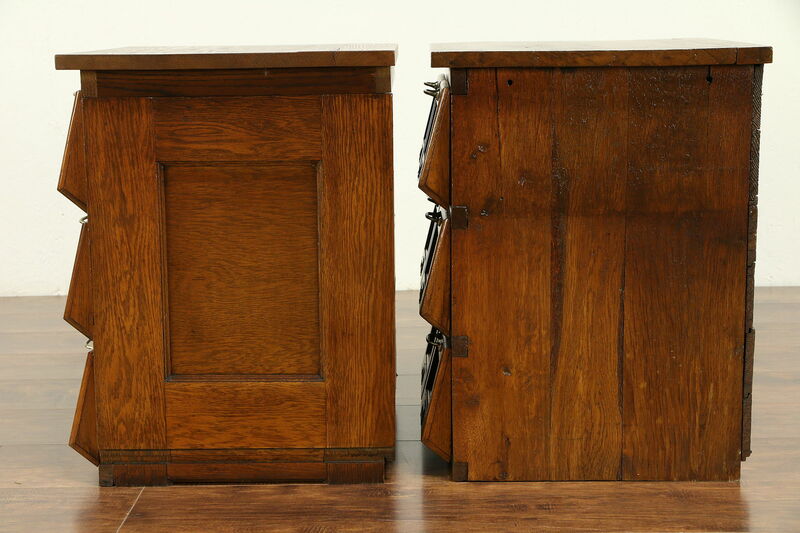 The display areas are adjustable. 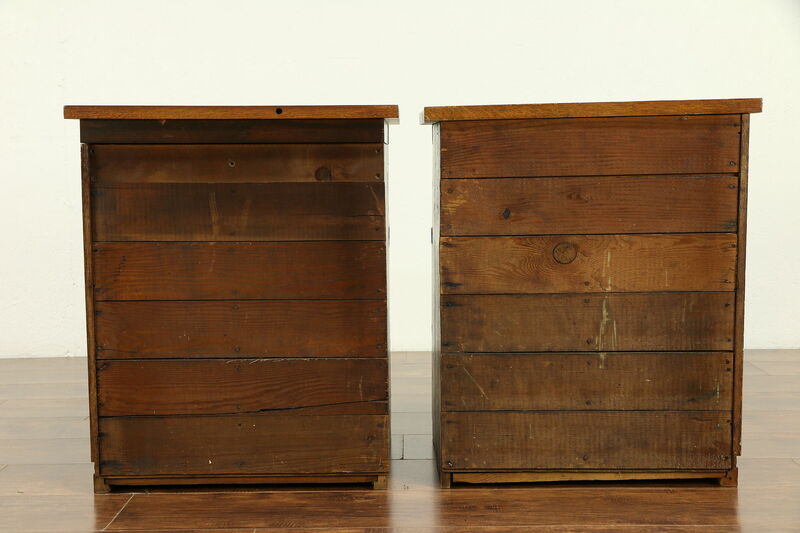 Size is 19" wide, 18" deep and 23" tall.